This section contains resources that were developed for the first phase of SSE from 2012 – 2016. Many of these resources are still useful, however some may not be fully up to date with current requirements. Users should be aware, that the links to the guidelines and mentions to the quality framework refer to the document published in 2012. How does SSE fit with school development planning? School self-evaluation (SSE) is a reframing of the school development planning (SDP) process. Schools that have engaged in self-review as part of the SDP process will be familiar with some elements of SSE outlined in the Guidelines. Such schools will have regularly used evidence from a range of sources, including assessment data, views of students, parents and others, as well as reflection on teaching and learning for judging standards and as a baseline for school development planning. SSE gives greater focus to gathering and analysing evidence and judging quality. Do DEIS schools need to engage in self-evaluation and set targets again to improve literacy and numeracy? Since 2006/07, schools that are part of the DEIS School Support Programme have received support to evaluate current levels of attainment in literacy, numeracy and examination attainment (post-primary) and to set targets for improvement. Some schools have been successful in improving attainment levels in literacy and numeracy. These schools should review their current cycle of planning for improvement and should continue to implement those plans if they are based on robust self-evaluation (clear evidence to support their judgements and the aspects prioritised for development) and if targets for improvement are specific and measurable. It is not necessary for such schools to start the process of self-evaluation again. Rather they should continue the DEIS planning cycle and engage in the self-evaluation process as outlined in the Guidelines when the current three-year plan has been implemented. Some DEIS schools are still at an early stage in the development of improvement plans. These schools should review their current practice and ensure that their DEIS action plans are based on robust self-evaluation and that targets to improve literacy, numeracy and attainment are specific and measurable. Do Special Schools need to engage in self-evaluation and set targets to improve literacy and numeracy and other aspects of teaching and learning? Yes. Special schools should engage in the process of self-evaluation as outlined depending on the age range of the students. They should adapt the process to meet the needs of students in their particular context. They should ensure that targets for the improvement of literacy and numeracy are consistent with the specific needs of their students. How should Irish-medium engage in self-evaluation and set targets to improve literacy in Irish and in English as well as numeracy? Irish-medium schools should engage in self-evaluation of literacy in Irish, literacy in English and numeracy over the first self-evaluation cycle. For example, they may select literacy in Irish as a priority in the first year. This will enable them to complete a self-evaluation report and put a three-year improvement plan in place. They may then select literacy in English as a priority so so that they will have a self-evaluation report and a three-year improvement plan in place. Finally, they will select numeracy and complete a school self-evaluation report and a three-year school improvement plan. Thus, by the end of the first cycle, they will have self-evaluation reports written and improvement plans in place for literacy in Irish, literacy in English and numeracy. They will then be in a position to evaluate other aspects of practice. How does school self-evaluation fit with the literacy and numeracy strategy? School self-evaluation is not an additional initiative – it is an integral part of the National Literacy and Numeracy Strategy. The Programme for Government 2011-2016 sets out specific targets in relation to school self-evaluation and school improvement. These targets are reflected in the literacy and numeracy strategy, which requires all schools to engage in robust self-evaluation and to put in place a school improvement plan with specific targets for the promotion and improvement of literacy and numeracy. School self-evaluation is being supported now to assist schools to fulfil these requirements. Schools will be expected to prioritise literacy and numeracy when engaging in self-evaluation. SSE is a useful tool to assist schools in affirming good practice in their literacy and numeracy provision and in deciding the aspects of literacy and numeracy that need to be improved. Where do we find the time for school self-evaluation? School self-evaluation builds on the school development planning process. Many schools have structures in place to enable ongoing collaborative planning to take place. Staff meetings and other group meetings and structures are some of the means by which schools provide time for planning activities. School self-evaluation should be an important aspect of such planning.  Circular 15/2011 provides an outline of how school management may designate the additional time provision required of teachers as part of the Croke Park agreement. School planning is one of the activities included in the list of items for which the additional time may be used. School management should ensure that school self-evaluation is among the activities for which the additional time is used. Much of the work related to school self-evaluation will become part of the ongoing practice in classrooms and other learning settings. Embedding school self-evaluation within normal classroom practice is an effective means of engaging in school improvement. Can we pick and choose elements of the teaching and learning framework in the Guidelines when engaging in self-evaluation? It is not necessary for schools to review in detail all evaluation themes. Rather, schools should select the themes or sub-themes for school self-evaluation according to their own needs. The framework illustrates three main themes: learning outcomes; learning experiences; and teachers’ practice. It is suggested that schools start by looking at outcomes for students. The evaluation criteria for student learning outcomes should serve as a useful benchmark in assisting schools to decide on the effectiveness of their practice. They might then examine the learning experiences (for example engagement in learning) and teachers’ practices (for example teaching approaches) that led to the learning outcomes. Schools can benchmark their practice in each case against the evaluation criteria contained in the Guidelines. Do we need to use all the evaluation approaches and methods suggested in the Guidelines? It is important not to gather too much information. Schools should carefully select the evaluation methods most suited to the information they require. For example, when reviewing teaching approaches, schools may not have any information about how students view current teaching. In such cases, schools might survey students. They should only ask a small number of questions which will provide the necessary information. In larger schools, consideration should also be given to sampling of students rather than surveying all students. How do we use the quality statements? The quality statements provide a set of standards to assist schools in placing their practice in a particular evaluation sub-theme on a continuum from significant strengths to significant weaknesses. The quality statements illustrate a school that has significant strengths in each of the evaluation sub-themes. They are written in narrative form and can be used in conjunction with the evaluation criteria, which are written in bullet-point form, to compare practice with that of a school which has reached a high standard. Schools may have considerable strengths without reaching this standard. What paper work is needed for school self-evaluation? Good school self-evaluation is about improving the way teachers teach and the learning achieved by students. It is necessary to record the findings of self-evaluation. A concise school self-evaluation report (no more than two to three pages) should record aspects of the practice chosen for self-evaluation, a brief account of school context, the findings of the self-evaluation, a summary of the school’s strengths and a summary of areas requiring improvement. As part of school self-evaluation, boards of management should review the legislative and regulatory requirements that schools have to fulfil. This should be done once a year and the Guidelines provide an easy-to-use checklist that can be completed by the board of management and appended to the school self-evaluation report. Each school should draw up a brief SSE summary of the report under the direction of the board of management and issue this summary to the whole school community. Schools will also devise a school improvement plan. The plan will contain a summary of the areas for improvement identified in the evaluation, targets for improvement (with a focus on learner outcomes), actions required to achieve the targets, reference to those who are responsible for taking actions, a statement of how the school will check if the targets have been achieved and a timeframe for achievement of the targets. The school improvement plan should be concise. A short summary should be provided to the whole school community. How does the school communicate the outcomes of school self-evaluation? Who is the school improvement plan for? The self-evaluation report will enable all teachers and the board of management to have a clear record of what the evaluation has revealed and the priorities that the school has set for development. Every teacher and member of the board of management should have a copy of the self-evaluation report. Inspectors of the Department will also have access to the self-evaluation report in the course of their work. A summary of the self-evaluation report, listing the strengths of the school and the priorities that the school has set for development will be needed for communication to the whole school community. It will enable the school leadership and management to report to parents on the operation of the school as required under Section 20 of the Education Act (1998). The school improvement plan is for the whole school community. It will be very useful for all teachers as a guide to implementing actions for improvement and it will provide the board of management with a way to monitor development and improvement. It will be equally useful for school management as they prepare their annual report for parents on the operation of the school. Inspectors will have access to the school improvement plan in the course of their work. Schools will make a summary of their school improvement plan available to the wider school community. Should the school’s summary self-evaluation report include information on the performance of students in assessment tests or state examinations? The detailed content of the summary self-evaluation report will be determined by the board of management of the school. The key aim of the summary report is to convey judgments about the strengths of the school and its priority for development. These will have been drawn up based on a wide range of evidence about teaching and learning. The summary report may include general statements about the performance of students in key areas, but detailed analysis of the outcomes of assessment tests or the results achieved by students in state examinations should not be included in the summary self-evaluation report. Who should take part in the SSE process? School self-evaluation should be led by the school principal as part of the duties outlined under Section 23 (2d) of the Education Act (1998). Under the direction of the board of management and patron, the principal should ensure that responsibility for school self-evaluation is shared and becomes part of the everyday practice of all teachers in the school. Other members of the school community, such as parents and students, should play an active role in the aspects of self-evaluation that are appropriate to them. The board of management should provide overall direction to the process and ensure that the evaluation takes account of the school’s particular ethos and characteristic spirit. They should also check the school’s practice regarding legislative and regulatory requirements on a regular basis. Parents and students should be consulted when it is appropriate to do so, for example in gathering evidence about attitudes to literacy and numeracy or their experience of learning. One of the more frequently asked questions raised by DEIS schools is ‘where does SSE fit in with what we’ve done in DEIS action planning?’ The PDF below should answer this and many more questions. It outlines what is common to both DEIS action planning and SSE and also how DEIS primary and post-primary schools can fully meet SSE requirements. Schools may also wish to consult the PDF below which provides the latest advice relating to SSE and DEIS for schools. The PDF below ‘Looking at Action Planning for Improvements in DEIS Post-Primary Schools’ presents the findings of the Inspectorate’s evaluations of forty-four DEIS schools conducted between 2010 and 2013. Many of the key messages presented are relevant to all schools. During the school year 2011/2012 twelve schools engaged in a pilot SSE program. Over the course of the year, six primary and six post-primary schools used draft SSE guidelines and tools. Below is a series of videos detailing the progress of the initiative. SSE provides opportunities for schools to examine their own practice within their own context and to report on their strengths and areas for improvement to their own school community. It brings benefits to teachers as they share experiences and ideas and helps them to become even more effective in their classrooms. It brings benefits to students as they have a say in what works for them and what would help them to learn. It brings benefits to the school as all teachers focus on the same small number of strategies for improvement. SSE works. Research indicates that meaningful SSE, focused on teaching and learning and on improving outcomes for students, brings about improvement. Evidence from DEIS schools, for example, shows that where principals and teachers analyse available information and use this as a basis for setting targets for improvement, they make major strides in improving outcomes for students. Similarly, schools involved in the pilot phase of SSE reported many positive results. At post-primary levels, initiatives such as TL21, the Instructional Leadership initiative and the Learning School initiative, have taught us that where teachers collaborate to examine their own practice and reflect on and change the way they teach, they improve learning for their students. Countries such as Finland, Scotland and New Zealand, where schools are encouraged to reflect on and examine their own practice and take responsibility for improvement within their own schools, consistently perform well in international assessments. For over a decade, schools have been supported to engage in school development planning (SDP). Schools have embraced elements of the process, for example engaging in collaborative discussion around developing policies. They have produced many useful and necessary whole-school policies. However, too often the process led to the production of paper work which did not have a meaningful impact on the work in classrooms. That is why schools are now being asked to focus on teaching and learning and on improving outcomes for students. This is the core work of schools. School self-evaluation should help schools to reflect on, examine and improve teaching and learning in the classroom. SSE is part of a balanced and integrated approach to supporting better learning and teaching in the Irish school system. It is an integral part of the Literacy and Numeracy Strategy and will support schools in examining and reflecting on this aspect of their work in order to improve outcomes for students. SSE is consistent with DEIS planning and schools already engaged in effective DEIS action planning leading to improved outcomes for students are well placed to continue and develop this work using the SSE process. SSE is also consistent with curriculum changes at Junior Cycle which place greater autonomy in hands of teachers and schools. More detailed information on SSE is available in the School Self-Evaluation Guidelines for Post-Primary Schools. What are our areas for improvement? Records of progress and assessment data, formative and summative. The views of students, parents, teachers and management. Individual teacher reflection and group reflection. Professional dialogue and sharing of experiences among teachers. Professional collaborative review of teaching and learning. When schools have analysed their evidence, the evaluation criteria and quality statements in the Guidelines (pages 28-45) will assist them in benchmarking their practice and making judgements about their strengths and areas for improvement. Further information about getting the SSE process started is available in An Introduction to School Self-Evaluation of Teaching and Learning in Post-Primary Schools (pages 11-13) and in the School Self-Evaluation Guidelines for Post-Primary Schools (pages 24-26). School self-evaluation provides schools with an opportunity to take responsibility for providing quality education for their pupils. This responsibility should be shared by the whole school community. The school’s board of management, the principal, deputy principal and teachers, and where appropriate, parents and pupils, should be involved in the SSE process. The school principal will lead school self-evaluation. Under the direction of the board of management, the principal should ensure that responsibility for school self-evaluation is shared and becomes part of the everyday practice of all teachers in the school. Staff meetings or other school structures should enable all teaching staff to work together to decide on the focus of self-evaluation and school improvement. Teachers should play a central role in the self-evaluation process. Teachers already gather a range of evidence as part of their day-to-day work. They may already engage in reflection on their practice and may share experiences with colleagues. The SSE process will enable them to benefit further from professional dialogue as they review their practice. The board of management has overall responsibility for the ensuring that appropriate education is provided for all pupils, within the school’s context and reflecting the school’s ethos and characteristic spirit. The board should ensure that suitable arrangements are in place to enable teaching staff to engage in the SSE process. The board should evaluate the school’s practice regarding legislative and regulatory requirements on a regular basis. A checklist provided in the Guidelines (pages 64-67) should assist boards in undertaking this. The board should also provide a summary of the school’s self-evaluation report and school improvement plan to the whole school community annually. Parents and pupils should be consulted when it is appropriate to do so, for example in gathering evidence about their experience of learning and about how to improve learning. Further information on who should be involved in the process is available in An Introduction to School Self-Evaluation of Teaching and Learning in Post-Primary Schools (pages 13-17).